Remember my post about me dad’s fantastic homemade mackerel fish balls? I know I promised to tell you how he makes it ya? Anyway that’s what this post is going to about: fishball making. It’s a relatively easy task actually. Or maybe my dad makes it seem so easy. 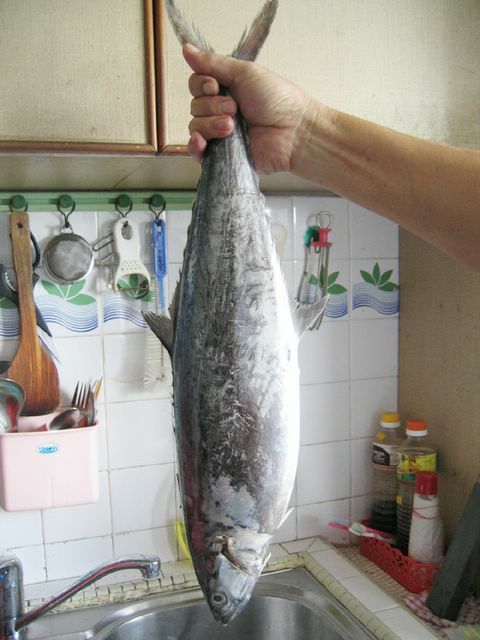 He’s so cute – he bought some mackerels and then called me to the kitchen to take photos of him making the fishballs. He thought it’ll be fun for you guys to see how it’s being made. See the egg sac and all? Remove them. There will be quite a bit of flesh. 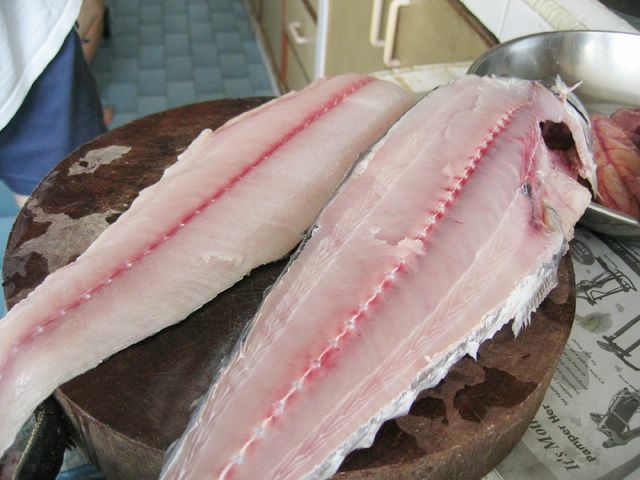 That photo above was taken before Dad finished scraping all the fish meat. 4. What do you do with all that flesh? Simple. If you have a food processor, great, if not, a kitchen blender would do as well. 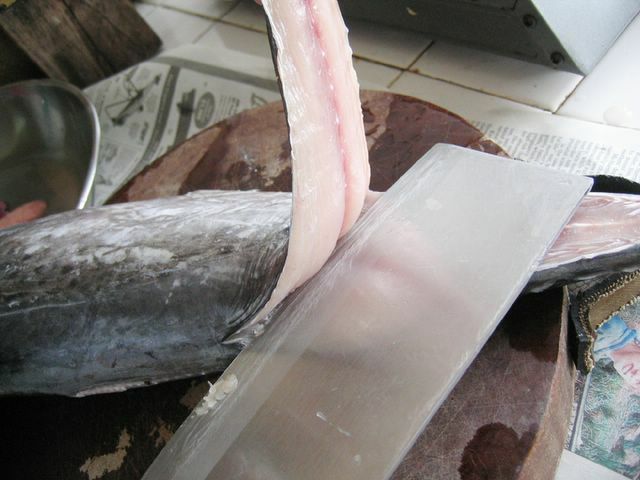 What you want to do, is to make a fish paste out of the fish flesh. So do ensure you blend/process/mix the flesh well. After which, you season it with some salt and then viola – you have homemade fish balls! Trust me, it’s that easy. Now you can scoop balls of it and add them to your soup. 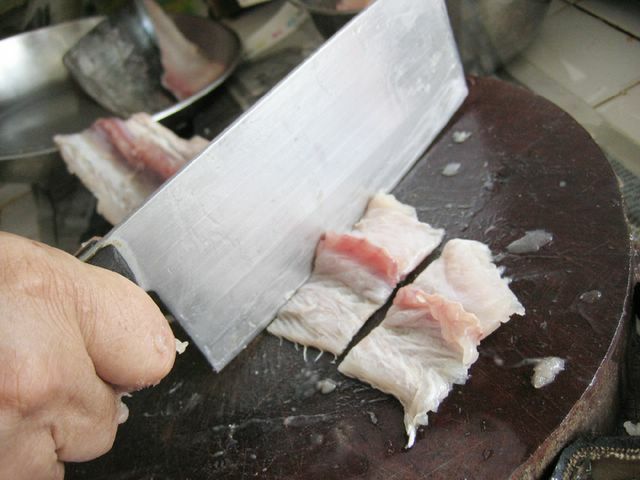 Chop up the fish skins and dip it in some egg and flour and fry it, for something to munch on before dinner. Gorgeous eh? My dad made it. He’s a resourceful and wonderful cook. Mmmmmm…. i’m drooling at the pictures right now as I type this. I love the orangey hue. It speaks of the sour tang and spiciness of the dish. Amazing. Dad rocks! And oh, guess what, he made Ayam Buah Keluak for dinner last night! Argh, but I haven’t tasted it yet… cos I had dinner plans already. Nvm, I will have some later. So anyway, hope you find this basic guide simple enough to spur you on to making your own homemade fishballs. Good luck and have a great weekend!!! Actually the fish roe assam pedas looks kinda gross..
yup this is how we make it at home too. And it is not always a given that the fish would contain roe, if we see it we go berserk and fry it up with a curry powder dusting and eat it with plain rice, yum! Your fish roe in assam pedas looks so yummy! I love assam pedas and fish roe regardless of what people say. 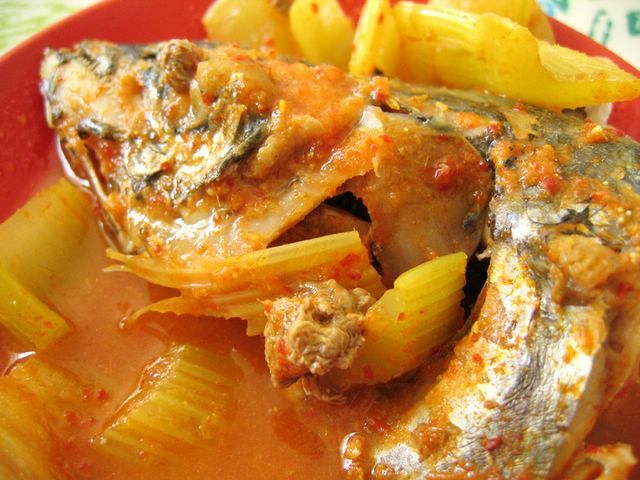 Asam pedas is my ultimate favorite…. Oh, fish roe! I love it. And my favourite curry is always fish head curry, bravo!! Makes me wanna have a taste of it. It just looks so great, ur dad did have an excellent knife skills. Umm, is your dad looking out to adopt any kids, cos I think I wanna volunteer myself now… imagine the dinners. Yum. Seriously, how do you stay slim with all this great food at home? ur dad is sooo cool!!!! 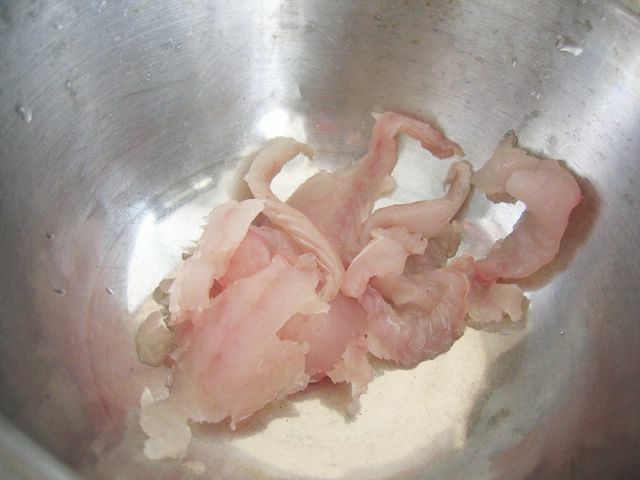 i’m sooo envy…..
i hv not eaten this kind of fish roe since my grandma passed away 4 years ago. looking at ur pic, remind me of my good old days cooking wif my grandma. you are one of the lucky gals to have a dad that cooks well. fish roe reminds me of days that we were still staying with my late grandma. i remembered how the oil pops when frying them, poor grandma and mom, guess they sustained lots of injuring cooking that. Hi, I’m really interested to make this! You mentioned that a food processor can be used. Can you tell me more? Or is it just dumping the flesh in then blending it until a paste without adding anything other than salt to taste? Don’t think we can do this with a blender though right? Since water has to be added or it wont blend. i’ve done tried that recipe before, sorry but its not really what i’m missing. i’m singaporean living in germany since 14 years and very much homesick thinking abt our local foods….!!! i always proudly say that its the best in the world!!! there are quite some asian restaurants here (mostly thais/vietnamese) but none are nowhere to compare to our hawker center. fish ball for one example is something i cannot figure out how its really done !!! its possible to buy frozen fish balls here in the local asian market (thai imports) but its still far from it. its missing the bounce and too soggy. i guess you know what i mean. good god… i’m drooling all over just writing this!!! i’ve not tried it coz i’ve not been able to get the required ingredients here in germany. anyway, if there’s anyone out there really knows how our to make the bouncy commercial fish ball i’d be much appreciate if you could share it here. we make fishballs at home too, but with another kind of fish, i dunno wad it’s called. 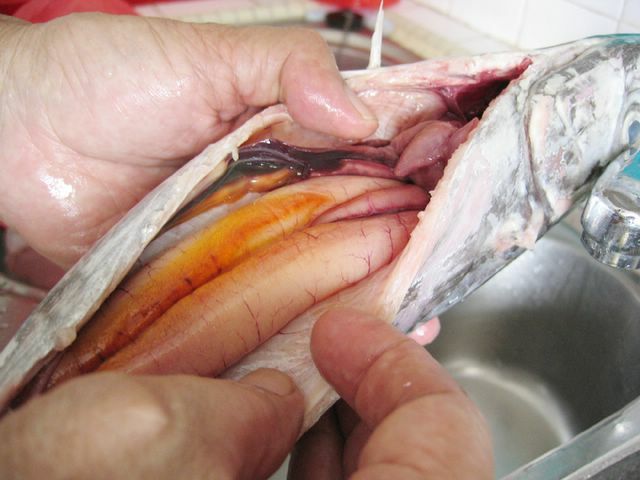 and dad adds water while blending the fish meat. it’s really good, the kind that REALLY bounces when you drop it on the floor. definitely beats brands like dodo hands down. too bad he doesn’t want to teach me. says it’s too stinky a job for me. haha. could you pls ask your dad wad bouncy fish is that he use? the secret to bouncy fishballs is slapping the meat onto the chopping board many many times from a height of about 1 to 2 ft high! you’re missing a few key steps. It’s all right until the blender part. you need to add water and salt at a certain percentage. i cant really remember but the water would have to be like, 2kg for 5kg of meat (makes about 1000 balls). and the salt will be about 400g. i cant really remember so you’ll have to experiment. 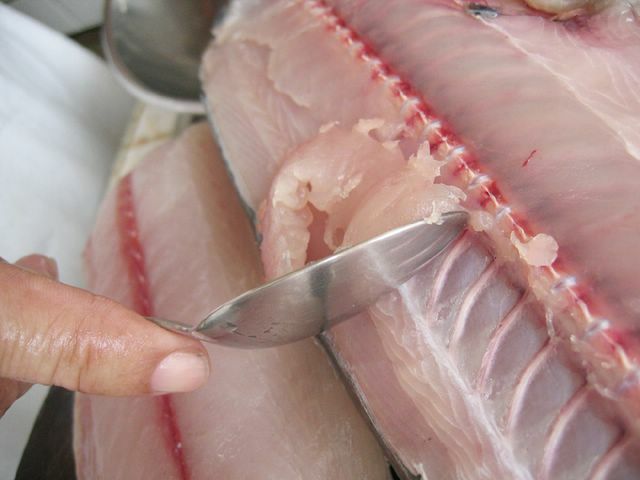 You’ll need a tub big enough to hold your fish, add all the salt, and add about 1/3 of the water. use your hands and mix it up evenly. slowly add in the water until everything becomes goo-ey, not too stiff and not too wet. and THEN you can start scooping it up into balls. you can control the size. now comes the key part. you need to prepare a bucket of water (normal temperature, not too warm), and put your fishballs in the water as you make them. take note of the time. leave the fishballs in the water for about 3 hours. you can lightly squeeze the balls to feel the change in texture. after 3 hours it should feel a little bit tight and more bouncy. there you go, bouncy fishballs! of course, the type of fish meat used affects the bounciness too!